Wallows' Latest Album, "Nothing Happens"
If you consider yourself a part of the pop-rock music fanbase, then you’ve probably heard of Wallows, and if not, well then... now you have. 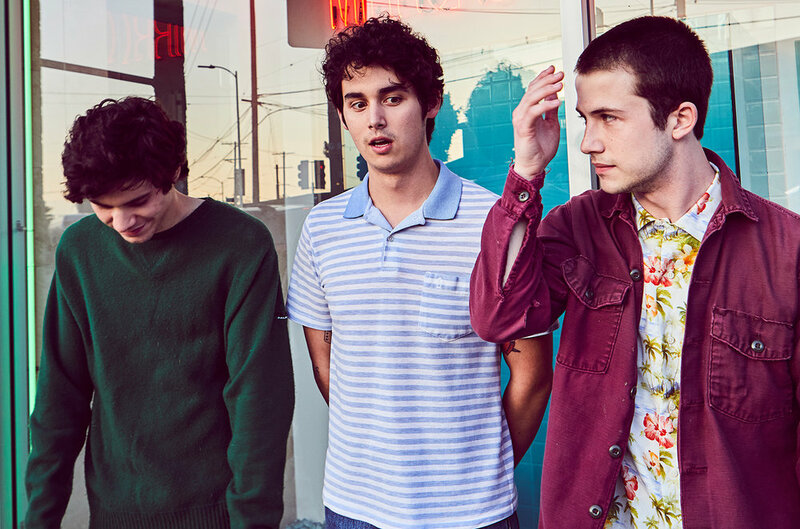 The band members include Cole Preston, Braeden Lemasters, and oddly enough, one Dylan Minnette, who played Clay in the popular Netflix series, “Thirteen Reasons Why.” Playing together since they were 11 years old, Wallows integrates the smooth pop sound of recent years’ music into alternative rock, in hopes of bringing rock music to the next generation. The single that came prior to the album release, “Are You Bored Yet?” quickly rose to become the trio’s most popular song on Spotify. The song features young and funky artist, Clairo, and is especially poppy in comparison to the other songs on the album. In contrast to their previous hits, such as “Pictures of Girls,” this song takes a much softer, groovier approach to vocals as well as instrumental choices. The inclusion of Clairo on the track was an invitation to her more pop-preferable fans to discover Wallows’ new sound, and expand their fan base into the up-and-coming pop circle. Not only is this project groovier and glossier than what we’ve seen from Wallows before, it also includes an array of deeper and more clever lyrics than the typical boy-band lyrics of their past. The song “Scrawny” pokes fun at their look in a way that takes ownership of their odd, but relatable ‘flaws,’ while throwing jokes back in the face of their critics. The chorus of the song goes, “I’m a scrawny MotherF*cker with a cool hairstyle.” Now that the band has gained a big enough fan base, they can have a little fun with their reputation and identity in their lyrics. Closer to the end of the album, they return to a heavier sound, but don’t leave the pop-esque sound affects behind entirely. The last song, “Do Not Wait” closes out the set boldly, with an exploration of the frustrations and unexpected surprises of young adulthood. Lyrics like “Your parents will eventually separate” and, “All the times that feel like everything, when nothing really happens at all. They're still here, all in that important room. You've got your pictures up on the wall, up on the wall” cater to the tortured-teen narrative, but also relate to that of people in their twenties, transitioning into a bewildering adulthood. The theme of “Nothing Happens” can be summed up by the lyrics “It gets worse before it gets better” from “Do Not Wait.” This album is an array of heavy guitar, poppy effects, synth beats and 80s undertones that cannot go unnoticed. Wallows certainly made waves with their first full-length album, exploring themes of childhood nostalgia, infatuation, relationship problems and identity ownership. The bookends, “Old Friend” and “Do Not Wait” both assure their audience that all of these confusions and crises of life can be made better with friends to suffer with, and learn from.